This three-drawer unit takes only seconds to convert from shipping container to medical cabinet. 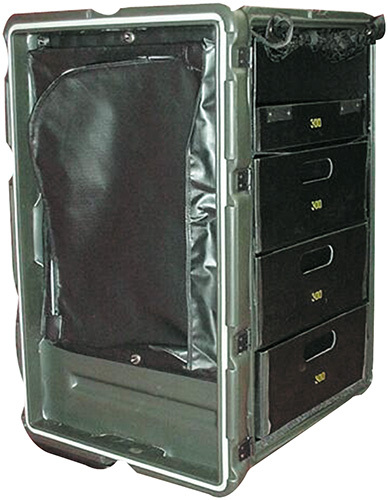 The case includes one sliding shelf that is designed for medical supplies such as blood pressure cuffs and stethoscopes. 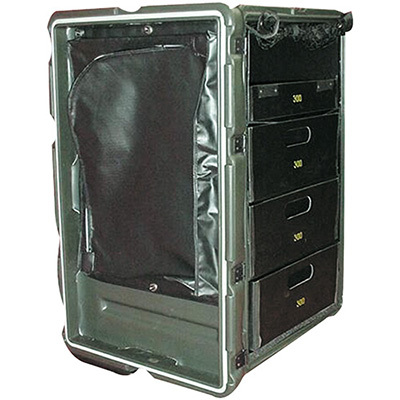 The lid doubles as a door, and has an attached zippered pouch for X-rays or any odd-shaped items.